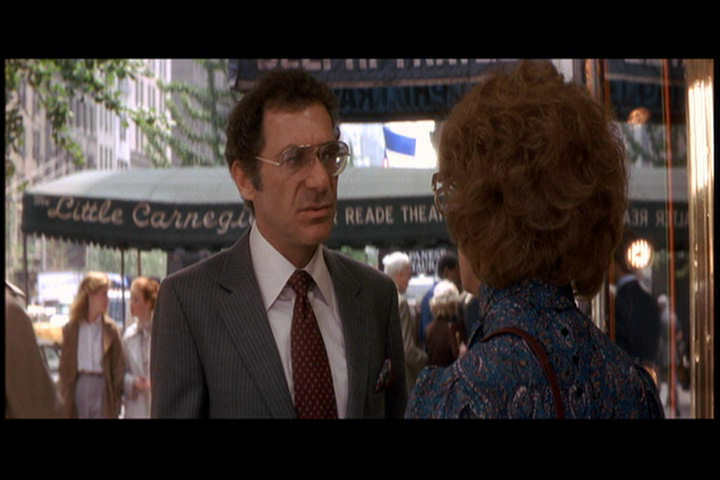 Thank goodness for Tootsie (1982), after both Patton and Schindler's List! I definitely needed a laugh, and this brilliant comedy proves, once again, that men in dresses is intrinsically funny. 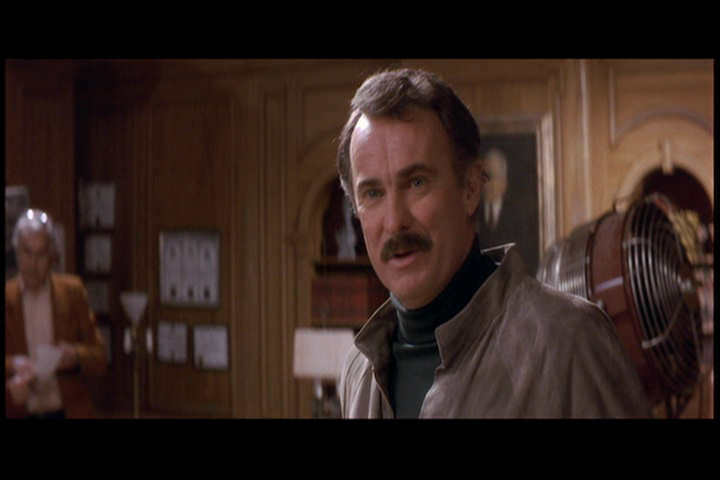 But it takes more than a sight gag to make good cinema. In this case, it's a cast of superb talent, a terrific script by Larry Gelbart (take a look at his resume), and the tight direction of Sidney Pollack. 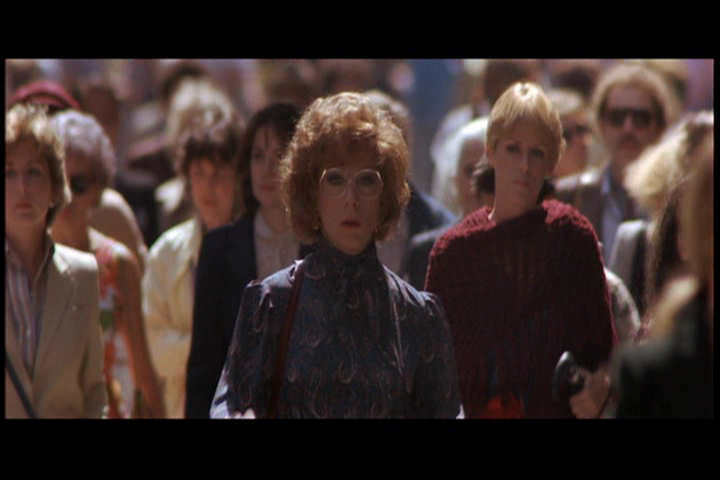 What's best about Tootsie is that it makes its points about women in society without using a sledgehammer. The focus of the movie is on the love story, as it should be, and also the transformation of a few characters. If this movie were made today, I'm not sure it would be allowed the same complex treatment within the prevailing Hollywood style. Put this movie next to Some Like It Hot and you'll find the same gentle craft and hysterical situations. 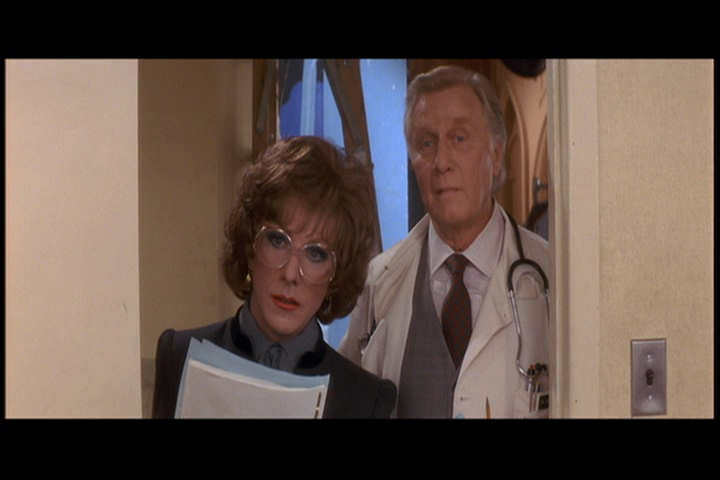 You'll also find that Tony Curtis and Dustin Hoffman can deliver a look, regardless of makeup, that will break your heart. ...and after, in a classic transition. Director Sidney Pollack. His role isn't a cameo. He has as much screen time as several other actors. 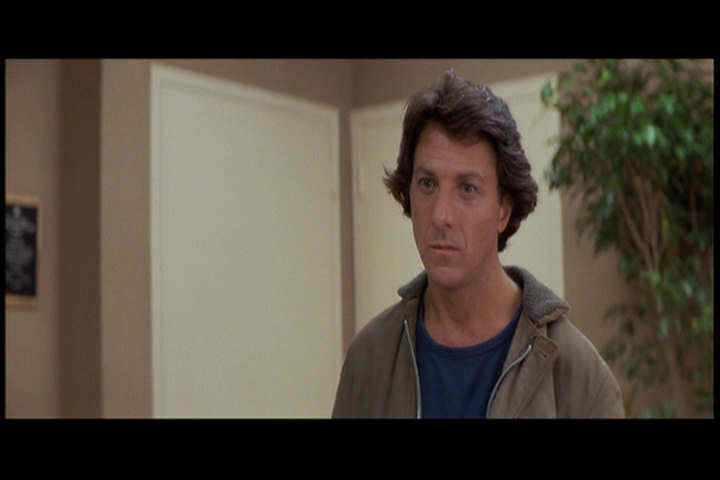 Dustin Hoffman and George Gaynes, who turns in a delicious performance, especially later in the film when he makes a few minutes screen time into a complex wonder of pathos. The funny, lovely, silly Teri Garr, who spent a lot of this film crying. Her character deserves better treatment that she receives from Hoffman. 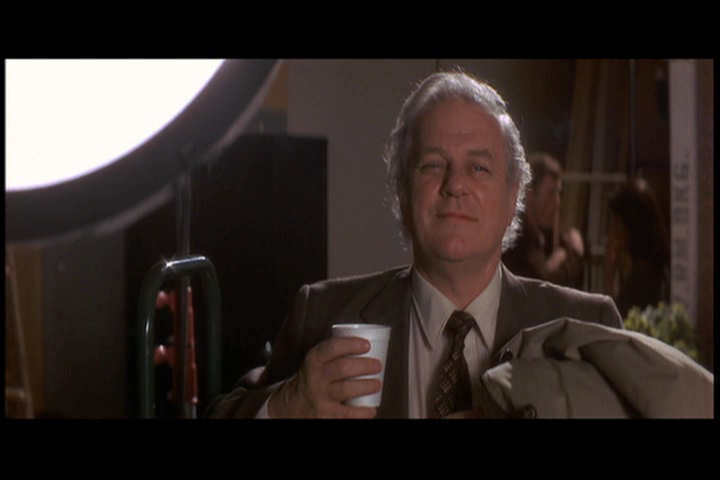 Charles Durning. Utterly believable. It's clear that he can do anything. Jessica Lange. Ms. Lange also turns in an understated performance, in what could easily have been a two-dimensional caricature. Very nice. 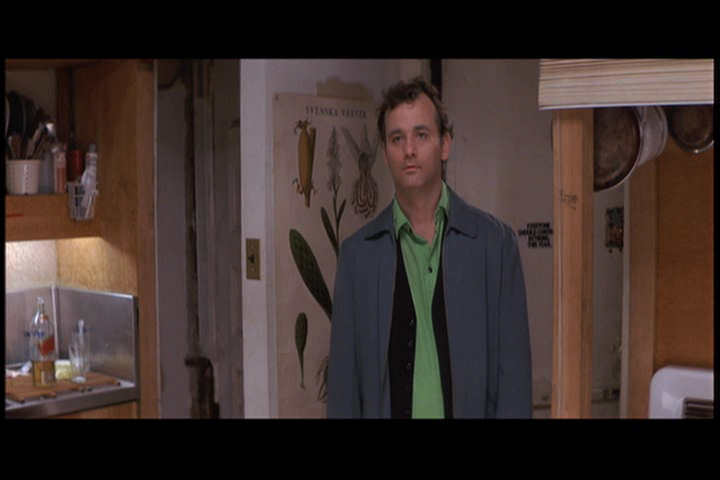 Bill Murray, being his bread and butter character. But it's sooo goooood! This scene was exceptionally tender. The photo doesn't do it justice.